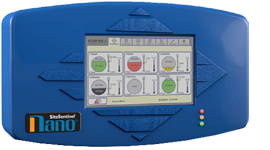 Real-Time Inventory Data Anywhere You Are Innovative software includes a calendar view that shows alerts by date, tank and type of alert, and a “Favorites” list for easy recall of the most-used filter settings. The elastic metal bellowed parts absorbing the heat induced expansion or contraction of pipelines conveying hot or cold fl uids or subject to drastic changes in ambient temperatures are called expansion joints. If no measures are taken against changes in size of pipelines, high pressure resulting from expansion or contraction creates problems at connection points and equipment. The most proper and affordable solutions to eliminate those problems are the metal bellow expansion joints designed to compensate different types of size chances, which do not necessitate any maintenance. 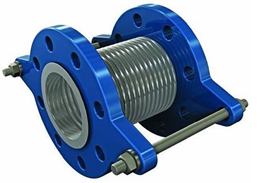 In brief, assemblies comprising single or multiple bellows used to compensate the change in size and to eliminate the problems caused by it due to the heat induced expansion and contraction in pipelines, ducted air systems and tanks can be called expansion joints. MEJA - axial expansion joints: rotating flanges, fixed flanges, welding ends, external pressurized, district heating. Ebsray® Pumps designs and manufactures a comprehensive program of Positive Displacement and Regenerative Turbine pumps for a wide range of industrial applications. Additionally, selected products are marketed to supplement the range. Ebsray's vast experience in the industrial pumping area coupled with the expertise acquired over 75 years has enabled Ebsray to become a market leader in innovative design for 'niche' industrial markets. Ebsray's recent successes in the LPG industry, military equipment refuelling systems and bulk potable water transfer has confirmed the company's ability to adapt it's products and manufacturing capability to the world markets. NORRES modifies its product range: now antistatic as specific standard. DAIS starts off its anniversary year 2014 by offering its reliable and solid Norres AIRDUC® PUR 350 MHF AS, 355 AS and 356 AS models as an antistatic version as standard and at no additional cost. This is also valid for the Norres PROTAPE® PUR 301 AS. Not only are all of the hoses antistatic, they are also all highly abrasion-proof. 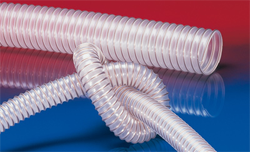 The new hoses have the same continuous conduction properties without migrating antistatics. A property that consolidates the reliability of these hoses in everyday uses, thereby substantially expanding the ranges of application. Long lifetimes and reliable use. With their long service lives and diverse possibilities of use, the Norres AIRDUC® PUR 350 MHF AS, 355 AS and 356 AS and the PROTAPE® PUR 301 AS not only convince when used with high flow-rates of abrasive substances but also when transporting powder and dust, not to forget fibres and chips. This is due to the flow-optimized wall made of permanent antistatic premium ether-polyurethane and the level of abrasion-proofness that is 2.5-5 times higher than that of most rubber materials. The ensures a longer service life and therefore cost savings in the daily use, especially when abrasive solids flow through that are frequently transported using these hoses. The fact that these hoses are now available in an antistatic version ex warehouse means that they have an electrical resistance and a surface resistance of < 109 Ω.